The InTAcT Links Gallery showcases useful tools that are related to the InTAcT project content, but not produced by this project. Recognising that there are many valuable tools and products available that cities can benefit from, the project team has compiled a curated database of relevant tools. Each item has been carefully selected, reviewed and briefly summarised. The summary of each tool includes a brief description, what the tool can be used for, who owns it and where to access it. The tools featured in the gallery include API’s, databases, diagnostic tools, frameworks, guidelines, mapping tools, mobile applications, portals, toolkits, websites, etc. They have been grouped by topic and can also be searched for by keyword. 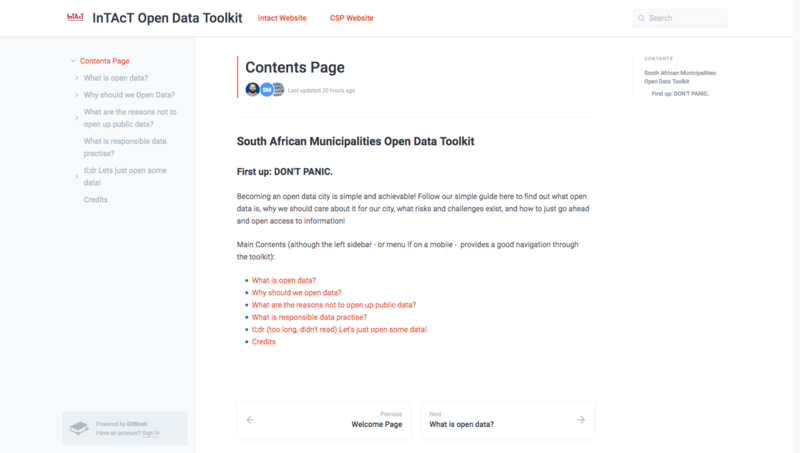 This toolkit is for you, a user within a South African municipality, to aid you in wrangling this beast called "open data" and what, why and how to go about implementing it within your team, unit, department, and city. 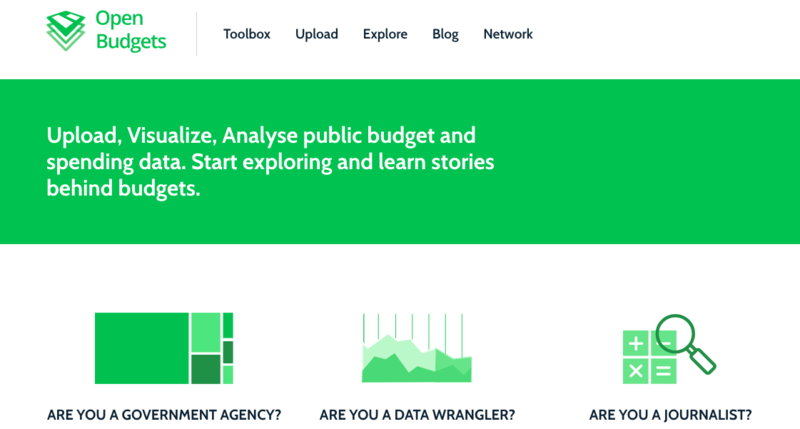 This toolkit is targeted at city change agents who are interested in adopting an Open Data approach in their cities. It provides a common frame of reference for all South African cities, pulls out key lessons based on global good practice, and provides practical recommendations for implementation. An initiative of the National Treasury, which has collected extensive municipal financial data over several years and would like to share this information with the public. The aim is to make this data widely available in order to increase transparency, strengthen civic oversight and promote accountability. Part of the open data movement towards more openness and transparency in government processes, including spending. Opening information for civil society, businesses, and government has been advocated for as a way to spark innovation, improve transparency and accountability. 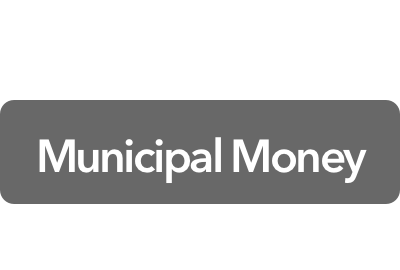 Municipal Money takes financial spending information at the municipal level and makes it easy to understand. 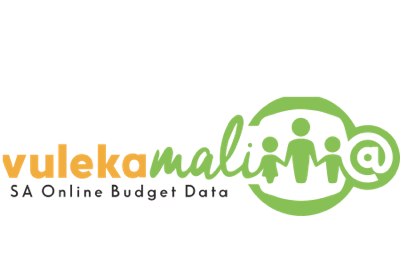 Publishes easily accessible national government budget data in a user-friendly format, to enable more effective information sharing, analyses and research, making government budget data and processes accessible to all citizens & interested parties. Part of the open data movement towards more openness and transparency in government processes, including spending. Opening information for civil society, businesses, and government has been advocated for as a way to spark innovation, improve transparency and accountability. 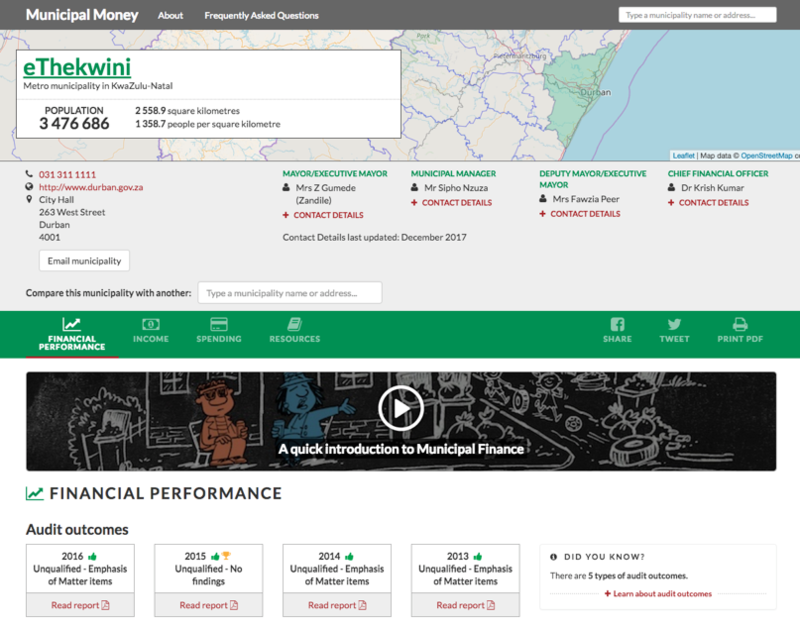 Similar to Municipal Money, Vulekemali takes financial spending information, but rather at the national level and makes it easy to understand. Provides data from National levels down to ward level in a user friendly and easy to understand format that is accessible for a range of different users. Compiles findings from many different sources such as StatsSA Census 2011 data, the 2016 community survey data, and other key demographic data. Part of the open data movement towards more openness and transparency in government processes, including spending. Opening information for civil society, businesses, and government has been advocated for as a way to spark innovation, improve transparency and accountability. 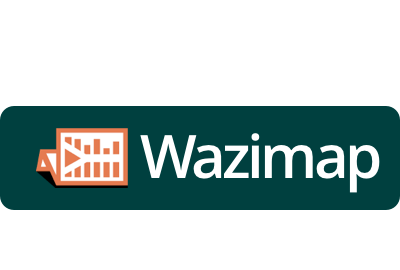 Wazimap makes ward level Census information available and easy to search via a map. Similar ease and functionality of Wazimap but focused completely on youth data. Makes youth data searchable via a map, provides visualised data in different themes such as economic opportunities, education, or health. Part of the open data movement towards more openness and transparency in government processes, including spending. Opening information for civil society, businesses, and government has been advocated for as a way to spark innovation, improve transparency and accountability. 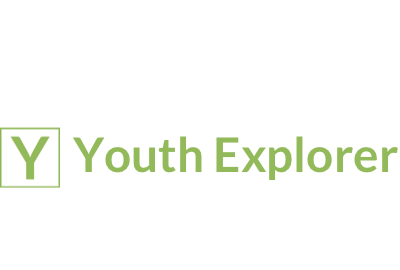 Operating similar to Wazimap, Youth Explorer features youth specific information. In South Africa, with high levels of youth unemployment, having access to youth specific information could pave the way for targeted interventions. A city-centric data portal that aims to support the planning, management, monitoring, and reporting needs of cities. The core dataset is the State of Cities Open Data Almanac which contains 102 indicators of city performance. The platform features an Explorer, which allows users to download full datasets for the SoCR Almanac as well as other key data sets, a map function, and an Indicator section which allows users to explore 12 key city indicators as interactive infographics. More and more, the benefit of using information, data, and technology to make planning and development decisions, be more efficient and effective with urban management, and keep up to date on service delivery is becoming apparent. Platforms like SCODA allow city officials and decision makers to access, analyse, and model city-centric data for decisions, while also providing performance indicators based on the State of the City Report. This type of insight is becoming more and more necessary, as city planning and development moves more towards user-centered design and evidenced based planning. Similar to evidenced based planning and participatory planning, policy analysis and creation tools open up the policy process by making it more transparent and accessible to citizens, professionals, researchers and others outside of the government and decision making sphere. 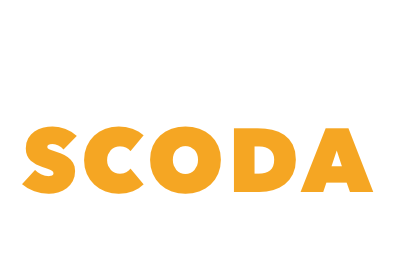 SCODA provides a space for both policy analysis, and insight into city performance indicators. The future vision for SCODA is for cities to be able to use the platform to base planning decisions and interventions on real and projected data. A web-based portal established to collect, re-package and disseminate local level data for municipalities. It was developed to provide easy access to municipal level data for both specialist and non-specialist audiences. More and more, the benefit of using information, data, and technology to make planning and development decisions, be more efficient and effective with urban management, and keep up to date on service delivery is becoming apparent. Platforms like the Barometer allow city officials and decision makers to access, analyse, and model city-centric data for decisions. This type of insight is becoming more and more necessary, as city planning and development moves more towards user-centered design and evidenced based planning. 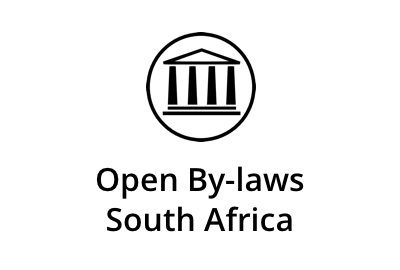 Open By-laws is a platform to make South African by-laws freely-available because everyone has a right to know the law, easy to read so that they're easier to understand, and easy to share to spread knowledge and understanding. Part of the open data movement towards more openness and transparency in government processes, including spending. Opening information for civil society, businesses, and government has been advocated for as a way to spark innovation, improve transparency and accountability. OpenByLaws makes it possible for citizens to be up to date on their bylaw rights and make informed decisions. Policy tracker and data insights into Informal Settlement Upgrading for 8 different metros, includes strategy, current status and insight stories. A form of infrastructure tracking. It is in citizens interest to be able to track the progress of these projects and policies, and report on projects that aren’t going as planned to hold government and businesses accountable to doing what they claimed they are going to do. There are a number of different ways to go about doing this, and not one solution is the only solution. Planning4Informality allows citizens to see and track the progress of in situ settlement upgrading for 8 different metros, includes strategy, current status and insight stories. A project that was implemented by civil society organisations, (CSOs) based within communities, who were the drivers of monitoring and advocacy in their own contexts. On the ground information was collected mainly regarding service delivery. Monitoring was conducted by dedicated community volunteers. Information was analysed and presented back to government departments. Citizen reporting or citizen monitoring tools make it easy for citizens to report on issues affecting them in their communities. This can be applied to service delivery issues, infrastructure issues (e.g. roads), petitions or issues with political officials. 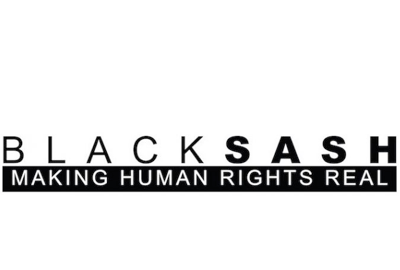 The Black Sash project implemented by civil society organisations, (CSOs) based within communities, who were the drivers of monitoring and advocacy in their own contexts. On the ground information was collected mainly regarding service delivery. Monitoring was conducted by dedicated community volunteers. Information was analysed and presented back to government departments. 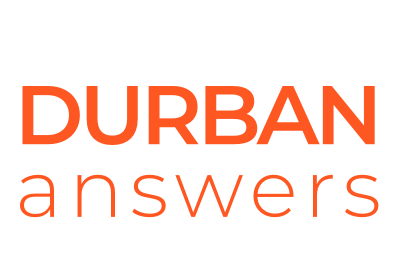 Citizen-focused website that is question-driven, with clean, easy-to-navigate design. Makes accessing government/city information more user friendly. Driven by focused user engagement strategy. 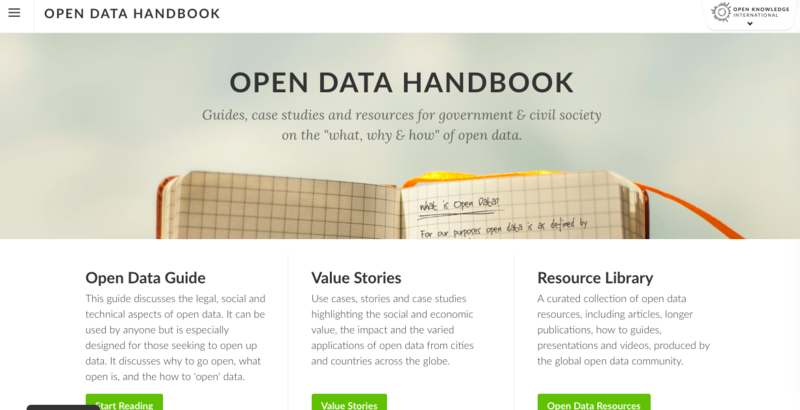 Part of the open data movement towards more openness and transparency in government processes. Opening information for civil society, businesses, and government has been advocated for as a way to spark innovation, improve transparency and accountability. 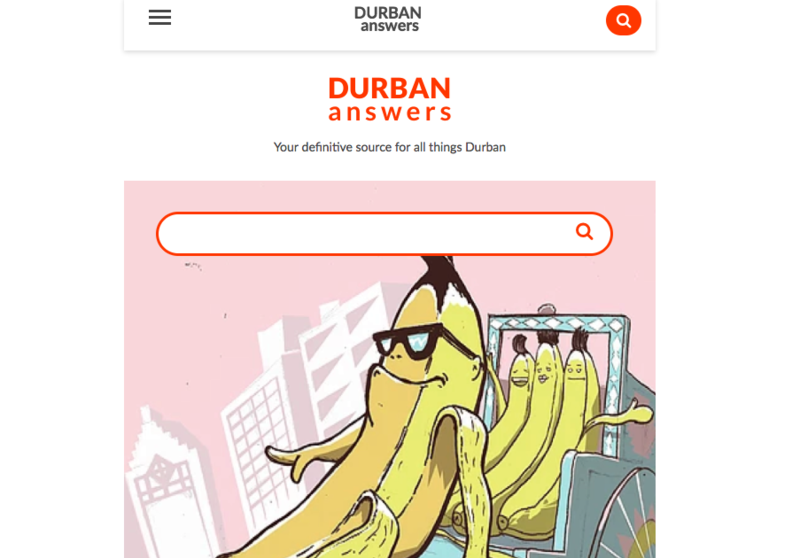 Durban Answers makes information about how to live, work, play, and be in the city acessible to citizens through different online and offline modes, ensuring that all citizens are able to use the platform in some format. 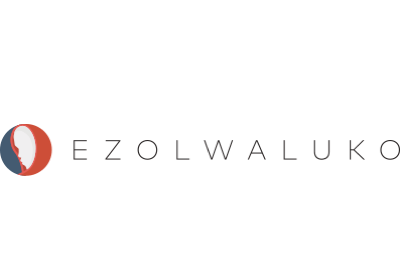 Speak Up Mzansi is an interactive web platform connecting citizens and their elected leaders. The main features of the platform include a discussion space for promoting open and honest dialogue around political and government promises made by South Africa's leading political parties. People’s Assembly website aims to promote accountability and bridge the gap between ordinary people and their elected representatives. The People’s Assembly website allows better scrutiny of our elected representatives. RepLocator allows you to find out who your representative is, where your nearest constituency office is located and provide feedback on whether your constituency office is working well. Citizen reporting or citizen monitoring tools make it easy for citizens to report on issues affecting them in their communities. This can be applied to service delivery issues, infrastructure issues (e.g. roads), petitions or issues with political officials. When combined with open data tools and principles, citizen reporting/citizen monitoring tools are a good form of interaction with government and advocacy for better transparency and accountaility. 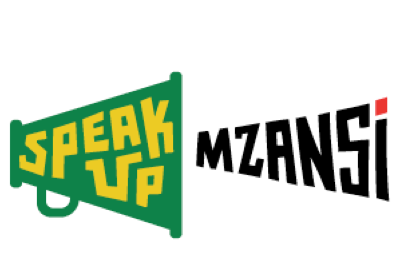 Speak Up Mzansi is a platform that connects citizens and their elected leaders, allows citizens to review promises made by local officials, and have discussions with officials about the status of promises or other issues in their community. Know what to expect to pay when you get a prescription from your doctor Find possible generics for a branded medicine. Ask your doctor if these medicines are viable alternatives. Ensure that you are not being overcharged for your medicine. Part of the open data movement towards more openness and transparency in government processes, including spending. Opening information for civil society, businesses, and government has been advocated for as a way to spark innovation, improve transparency and accountability. 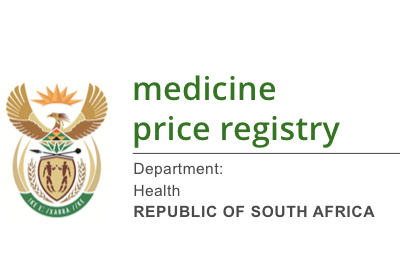 Medicine Price Registry is important for famlies who rely on a medication for daily life, but also to regulate and catch when citizens are being overcharged. Tool for initiates and their families can check whether the traditional surgeons they have chosen are registered with the Eastern Cape Department of Health, report a doctor practicing without credentials or registration, report an initiate in trouble or hurt, and find a doctor who is registered to complete initiation. Part of the open data movement towards more openness and transparency in government processes, including spending. Opening information for civil society, businesses, and government has been advocated for as a way to spark innovation, improve transparency and accountability. This platform allows families to search for doctors and traditional health practitioners that are registered with the provincial department of health to avoid malpractice during the traditional circumcision ceremony. This also has an element of citizen reporting in that citizens are able to report malpractice if a practitioner harms their child or someone they know. This is important to shed light on the serious harm that is caused sometimes when families take their sons to a doctor who isn't registered. 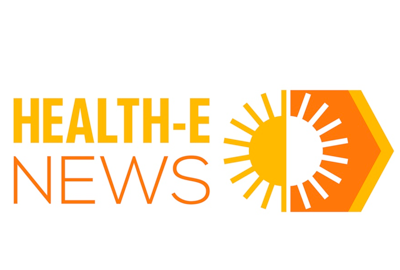 Health-e News is South Africa’s award-winning television and print health news service that has been producing news and in-depth analysis for national media since 1999. Health-e News has television, online and print clients and has a nationwide network of citizen journalists called OurHealth who are based in rural villages and small towns throughout the country. Syndicated nationally via clients such as Media24, Daily Maverick, SABC, eTV and the Independent Newspapers, Health-e News brings the latest in health news articles, videos and TV documentaries to hundreds of thousands of South Africans each month. Part of the open data movement towards more openness and transparency in government processes. Opening information for civil society, businesses, and government has been advocated for as a way to spark innovation, improve transparency and accountability. Also brings in elements of citizen reporting/monitoring which provides a platform for improved citizen voice. Health E-news connects citizens to health related news through both print and media, documentaries and other forms of dissimination. They also have a team of citizen journalists based in rural communities, adding an element of citizen voice and monitoring to this platform. Tool for community mobilisation. Takes user through process of starting an issue, meeting with fellow community members, vote on issues and make call to actions. Citizen reporting or citizen monitoring tools make it easy for citizens to report on issues affecting them in their communities. This can be applied to service delivery issues, infrastructure issues (e.g. roads), petitions or issues with political officials. When combined with open data tools and principles, citizen reporting/citizen monitoring tools are a good form of interaction with government and advocacy for better transparency and accountaility. 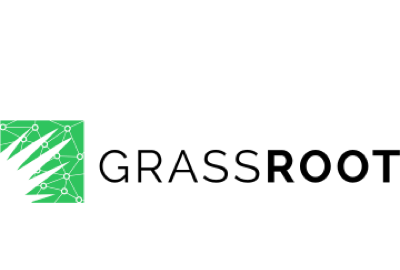 Grassroot plays the role of a citizen monitoring tool by assisting community members to communicate and mobilse around a specific issue. 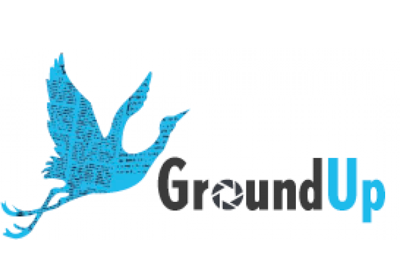 News agency that reports on news in the public interest, with an emphasis on the human rights of vulnerable communities. 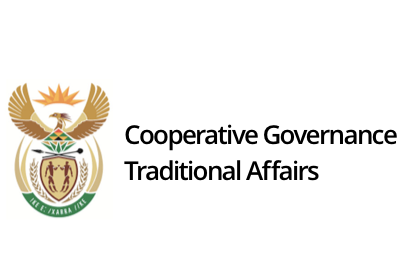 The biggest free and open collection of South African government gazettes. Gazettes from the Government Printing Works are re-shared under Government Printers Authorization No. 11733. Gazettes are a critical source of information and record of South African history. They should be easy to find and use, and freely available to everyone. Part of the open data movement towards more openness and transparency in government processes, including spending. Opening information for civil society, businesses, and government has been advocated for as a way to spark innovation, improve transparency and accountability. 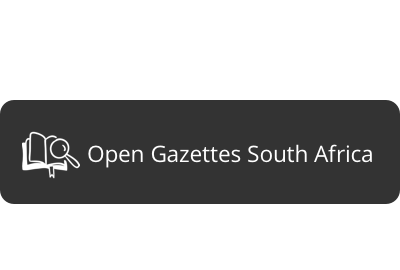 Open Gazettes makes official government announcements and articles freely available to citizens. 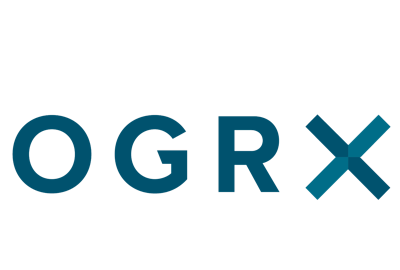 A platform with corporate data freely and publically available, to empower you to hold the right people in the corporate sector accountable when they do things that affect your everyday life. Part of the open data movement towards more openness and transparency in government processes, including spending. Opening information for civil society, businesses, and government has been advocated for as a way to spark innovation, improve transparency and accountability. 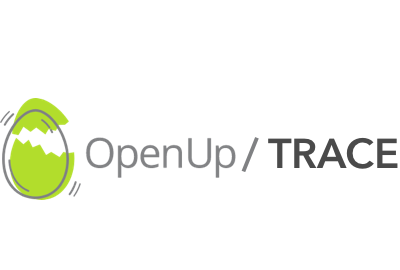 Trace makes corporate data open and freely available to citizens, including tenders and blacklisted companies. This is important for citizens to be able to access, investors, and for other businesses who reguarly go for government tenders. Part of the open data movement towards more openness and transparency in government processes, including spending. Opening information for civil society, businesses, and government has been advocated for as a way to spark innovation, improve transparency and accountability. 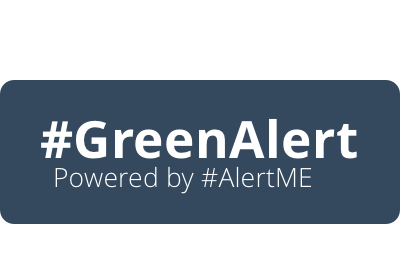 #GreenAlert allows citizens or other interested parties to find out about and track what Environmental Impact Assessments are in their area as a way to see what projects are taking place that could potentially impact the environment around them. 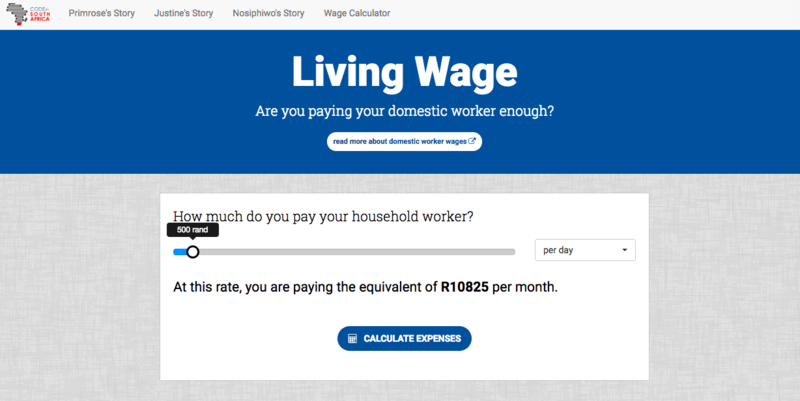 Lets users calculate how much the wages of a domestic worker, and highlights the challenges of making a living wage as a domestic worker in South Africa. There is also a storytelling function that follows the story of individuals and highlights what they spend their wages on. Part of the open data movement towards more openness and transparency in government processes, including spending. Opening information for civil society, businesses, and government has been advocated for as a way to spark innovation, improve transparency and accountability. 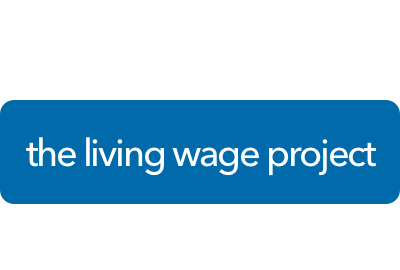 Part of opening up information about domestic workers' wages allows for more awareness to be generated and advocacy around social justice and disparities. Drone photojournalism showing spatial inequality. 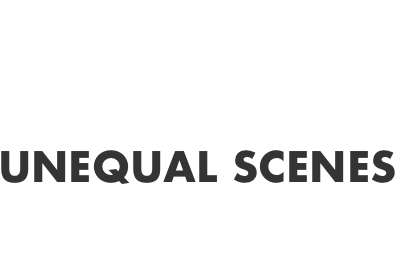 Unequal Scenes is a story-telling and awareness generating platform that helps users understand pressing issues related to spatial inequality and poverty. These types of platforms can spark advocacy or innovation by creating awareness, and also gives voice to populations that normally aren't heard. Part of the open data movement towards more openness and transparency in government processes, including spending. Opening information for civil society, businesses, and government has been advocated for as a way to spark innovation, improve transparency and accountability. 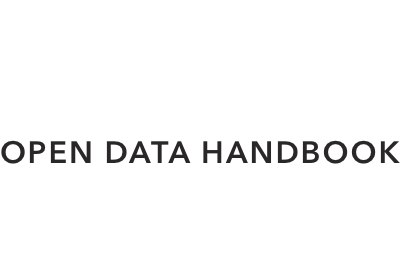 The Open Data Handbook provides users with easy access to information, resources learnings, and guidelines for using open data in government and starting on an open data journey. This is important because open data in government a relatively new concept, but becoming more and more necessary, especially to move forward with smart governance. 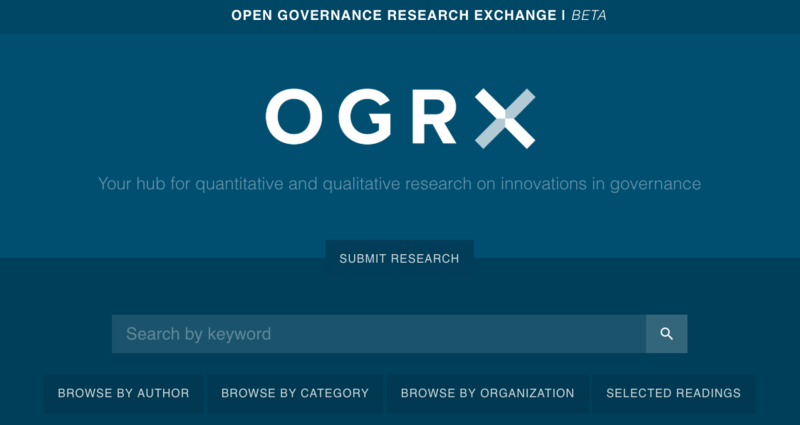 A platform for sharing research on innovation and findings on innovating governance. Part of the open data movement towards more openness and transparency in government processes, including spending. Opening information for civil society, businesses, and government has been advocated for as a way to spark innovation, improve transparency and accountability. 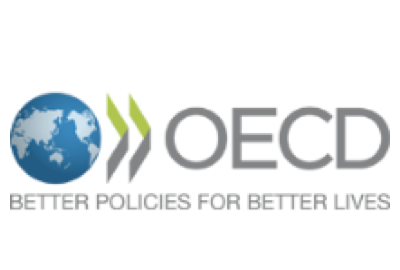 Another great resource for governments to access learnings and research on open government and smart governance. 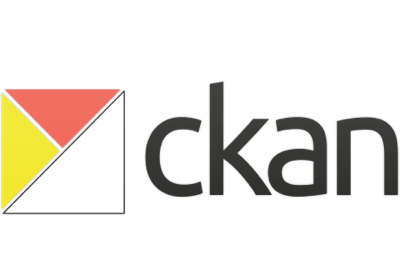 CKAN is an open-source DMS (data management system) template for powering data hubs and data portals. 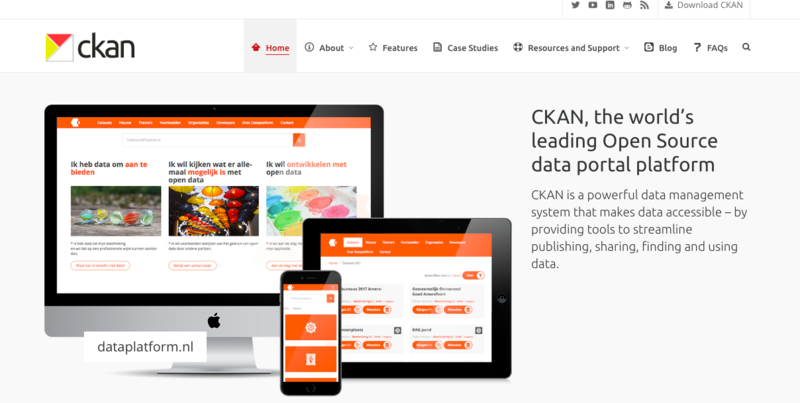 CKAN makes it easy to publish, share and use data. Part of the open data movement towards more openness and transparency in government processes, including spending. Opening information for civil society, businesses, and government has been advocated for as a way to spark innovation, improve transparency and accountability. 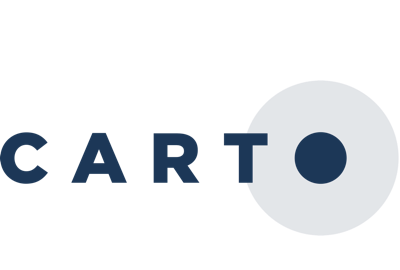 Open data portals such as CKAN and Socrata make the process of creating an open data platform easy and accessible for a range of different users. 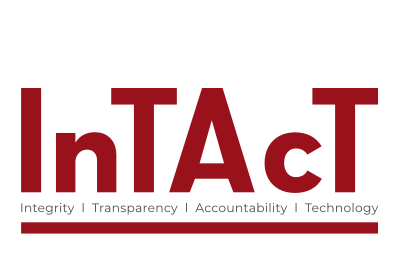 It would be counterproductive if the technology itself that holds open data was closed and inaccessible - CKAN and Socrata are essential components to the uptake to the open data movement. 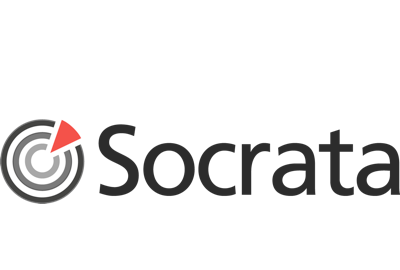 Socrata is a mission-driven software company that helps governments and public sector institutions use data more strategically in the design and delivery of their programs and missions. Makes existing government data discoverable, usable, and actionable for government workers and the people they serve. Socrata provides a data-as-a-service data platform and cloud applications exclusively for city, county, state, and federal government organizations. Open source tool that allows for the storage and visualization of geospatial data on the web. Part of the open data movement towards more openness and transparency in government processes, including spending. Opening information for civil society, businesses, and government has been advocated for as a way to spark innovation, improve transparency and accountability. Similar to open data portals, open GIS tools (such as CartoDB) make it easy to gather, map and open geographic information. Often times, open data might exist in some sort of data set, so having the mechanisms to turn this data into a readable map is extremely useful. 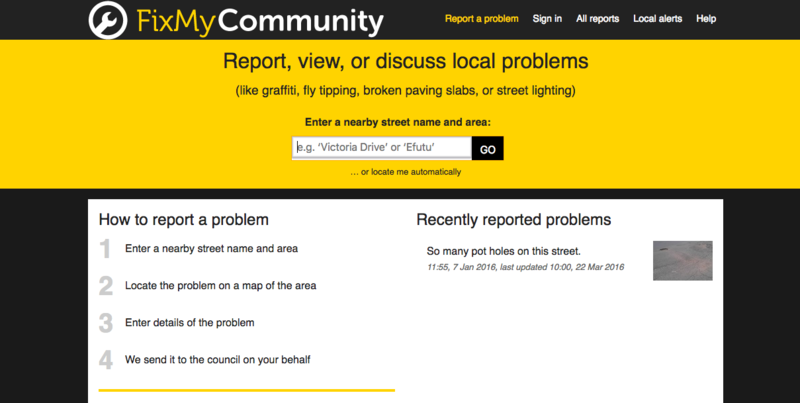 Lets citizens instantly report to the local governments problems they see, like potholes, graffiti, or broken streetlamps. Citizen reporting or citizen monitoring tools make it easy for citizens to report on issues affecting them in their communities. 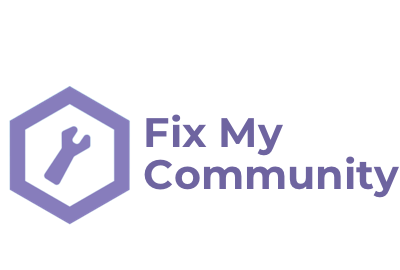 FixMyCommunity lets citizens report on issues affecting them in their communtiy, locates this issue on a map and sends it directly to the council on behalf of the citizen. 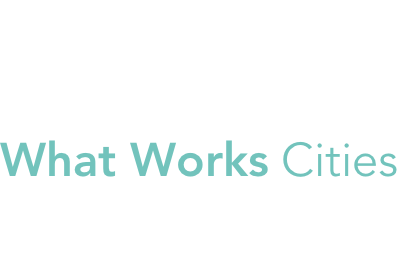 A national initiative to help 100 mid-sized American cities enhance their use of data and evidence to improve services, inform local decision-making and engage residents. A form of participatory planning and policy analysis and development. Participatory planning aims to ground planning decisions and the planning process in community needs and providing multi-faceted opportunities for participation. In addition to using participatory planning information to form the principles, this information can also be used for policy analysis and creation. Policy analysis and creation tools open up the policy process by making it more transparent and accessible to citizens, professionals, researchers and others outside of the government and decision making sphere. Platform for online and offline data literacy courses and data skills development. Part of the open data movement towards more openness and transparency in government processes, including spending. Opening information for civil society, businesses, and government has been advocated for as a way to spark innovation, improve transparency and accountability. 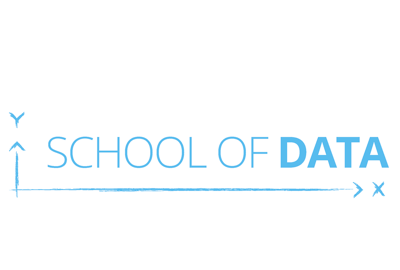 School of Data offers independent and free learning modules that allows citizens to learn better data literacy, making it easier for them to potentially innovate or take action based on open data they have access to. First attempt to understand what responsible data means in the context of international development programming. Mainly a policy analysis and creation tool - it open up the policy process by making it more transparent and accessible to citizens, professionals, researchers and others outside of the government and decision making sphere. The Responsible Data Handbook is geared specifically towards development practitioners and how they should or should not use data they collect or have access to. 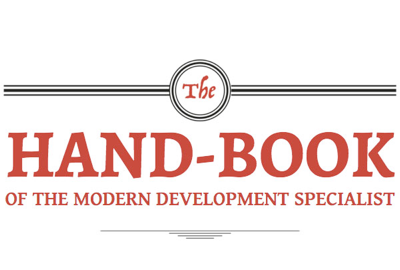 This handbook helps inform their implementation, which could include policy making or analysis. Annual global benchmark for publication of open government data. Provides the most comprehensive snapshot available of the state of open government data publication. Part of the open data movement towards more openness and transparency in government processes, including spending. Opening information for civil society, businesses, and government has been advocated for as a way to spark innovation, improve transparency and accountability. 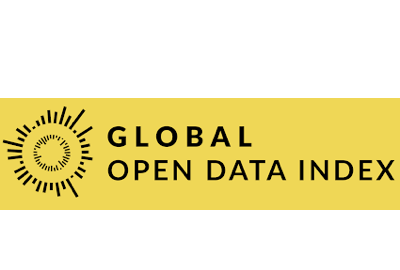 Global Open Data Index sets the benchmark of publication of open government data, and lets users (or countries) compare across different regions to see how they measure up. This is really important to look at regional progress on open data, and help governments understand where they sit globally. Platform is designed for public administrations, citizens, NGOs, media organisations, public service companies, and stakeholders working with fiscal data. The key challenge is to provide a scalable platform that is easy-to-use, flexible, and attractive for all these different types of users. Part of the open data movement towards more openness and transparency in government processes, including spending. Opening information for civil society, businesses, and government has been advocated for as a way to spark innovation, improve transparency and accountability. 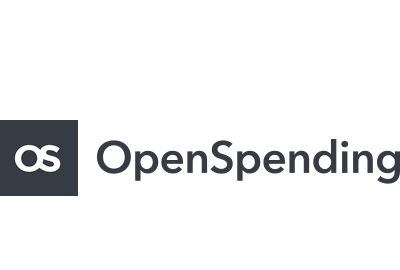 OpenSpending is a free, open and global platform to search, visualise and analyse fiscal data in the public sphere. Part of the open data movement towards more openness and transparency in government processes, including spending. Opening information for civil society, businesses, and government has been advocated for as a way to spark innovation, improve transparency and accountability. 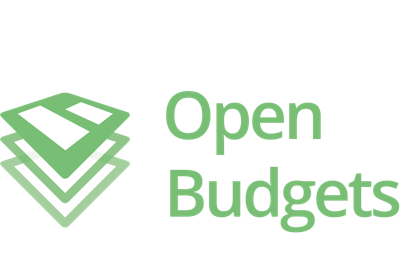 Similar to the Global Open Data Index, Open Spending puts all available open fiscal records in one place for users to search. 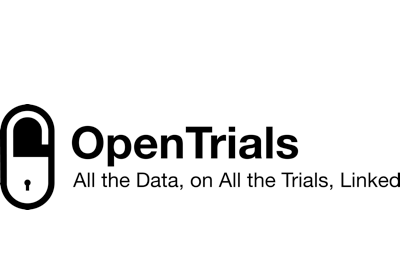 Open Trials is a platfrom to locate, match, and share all publicly accessible data and documents, on all trials conducted, on all medicines and other treatments, globally. 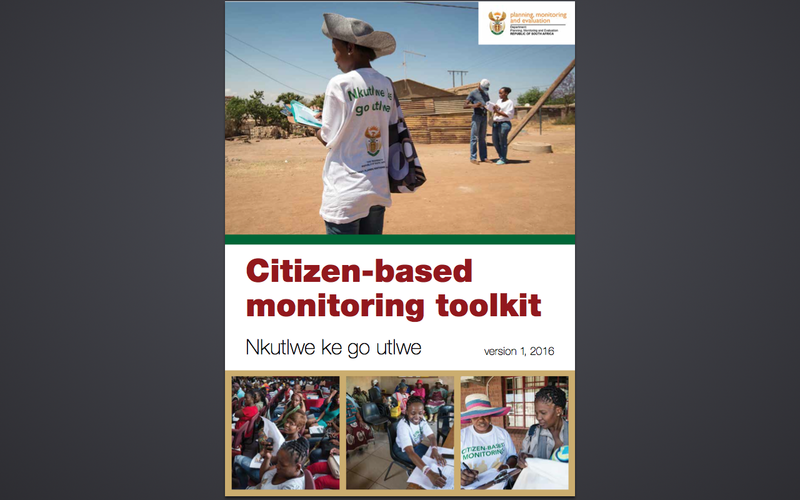 The Citizen-based Monitoring (CBM) toolkit was developed and piloted by the Department of Performance Monitoring and Evaluation in order to strengthen the active participation and partnership of citizens in government performance processes. The toolkit describes the motivation and background for CBM, presents the 3-step CBM method, and includes practical tools such as checklists, questionnaires and training recommendations. It is geared towards government practitioners but also has broader relevance. 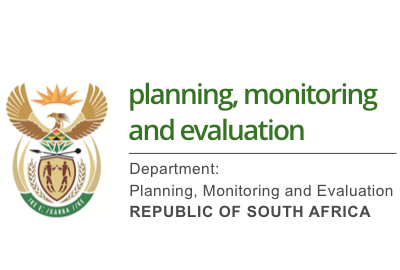 The CBM Toolkit can be used and adapted by Cities or departments interested in strengthening both performance monitoring/evaluation and social accountability. It can used as a template for design of a CBM process, or for ideas and lessons. 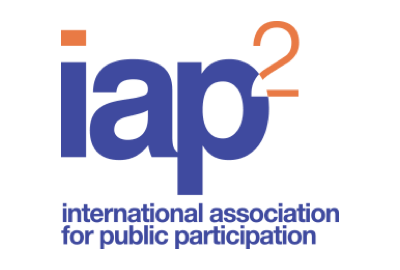 The International Association for Public Participation (IAP2) aims to support and advance public participation practices.Its membership includes over 1050 organisations (in 2007) from 26 countries. 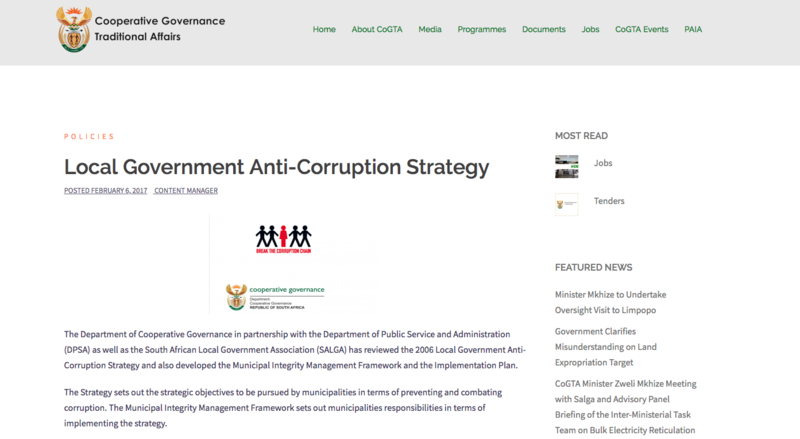 Its website provides a range of resources for government practitioners, policy-makers and civic organisations. it also provides training and conferences, and produces a Journal of Public Deliberation. 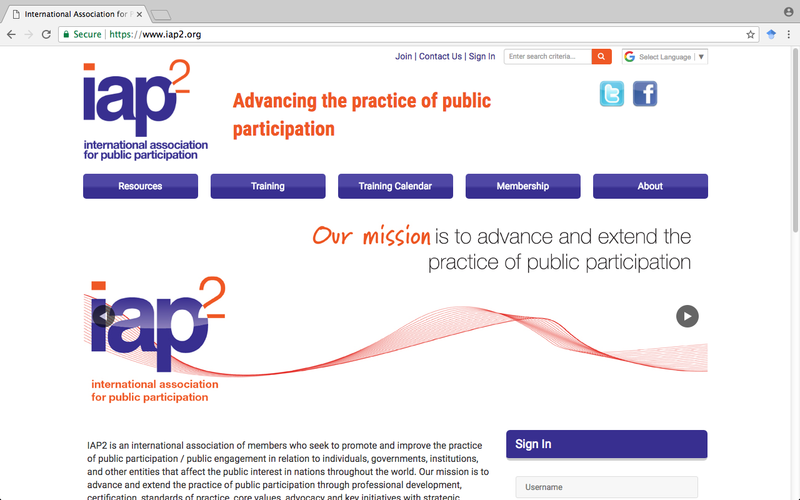 IAP2 can be used for peer-to-peer learning and networking on methods, practices and trends related to public participation around the world. 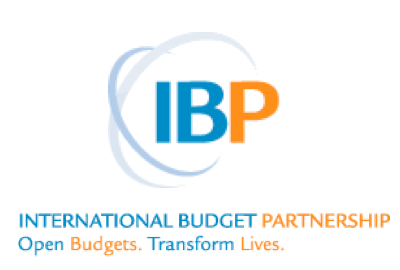 The International Budget Partnership (IBP) works with civil society on government budget analysis and advocacy in order to strengthen governance. 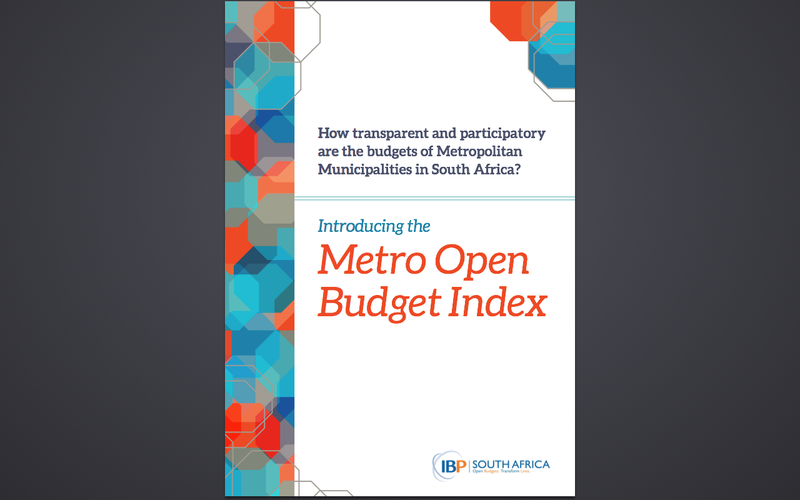 IBP South Africa launched a budget index aimed at assessing transparency, participation and oversight in metros. 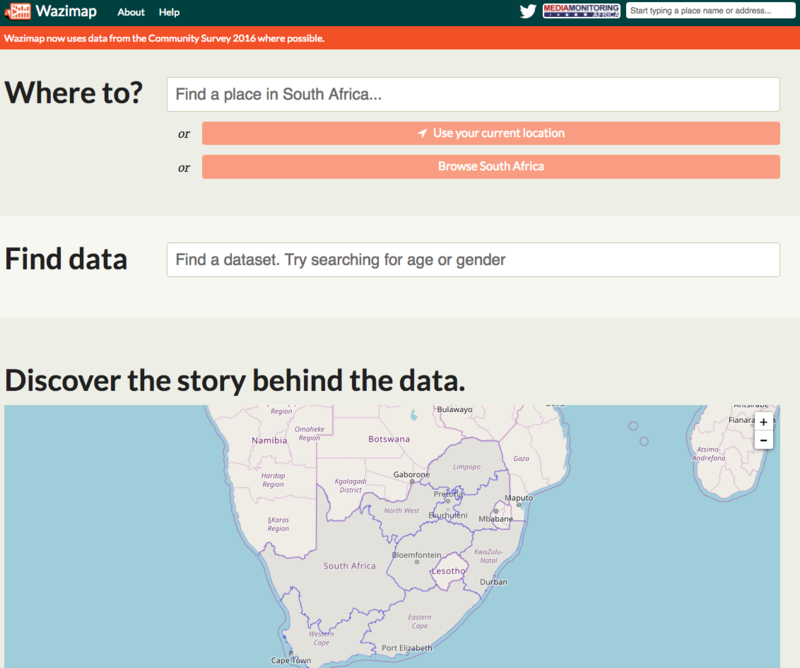 The tool is intended for civil society but also provides information for government practitioners, activists and researchers. The Metro Open Budget Index provides indicators for transparency, participation and oversight of metro budgets. It can be used to identify gaps and areas for improvement, as well as comparison across metros. 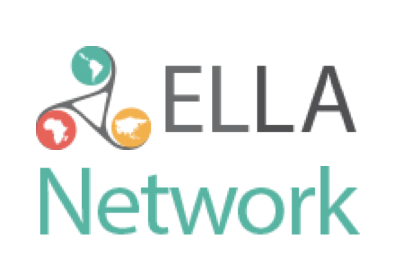 ELLA is a network for comparative research, knowledge sharing and learning programmes for organisations and individuals in the global south. 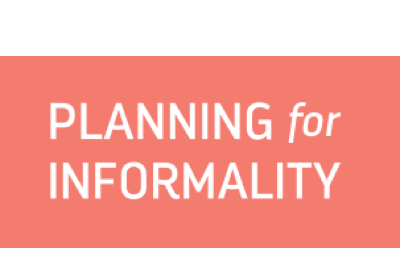 The ELLA policy brief on Strategic Planning presents an overview of the Strategic Planning methodology that engages citizens and communities in various ways in the urban development planning process. 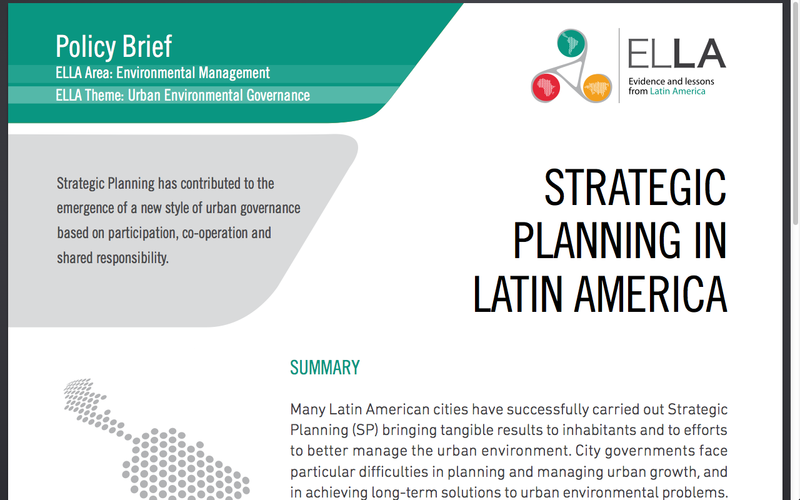 It includes a number of City case studies, process characteristics and lessons learned. It is a model than can be utilised by local governments, and in partnership between sectors. This ELLA Policy Brief can be used to better understand the principles and methodology of participatory development planning, and to further explore specific case examples. It is primarily focused on civic engagement and social accountability in City planning and prioritisation processes. 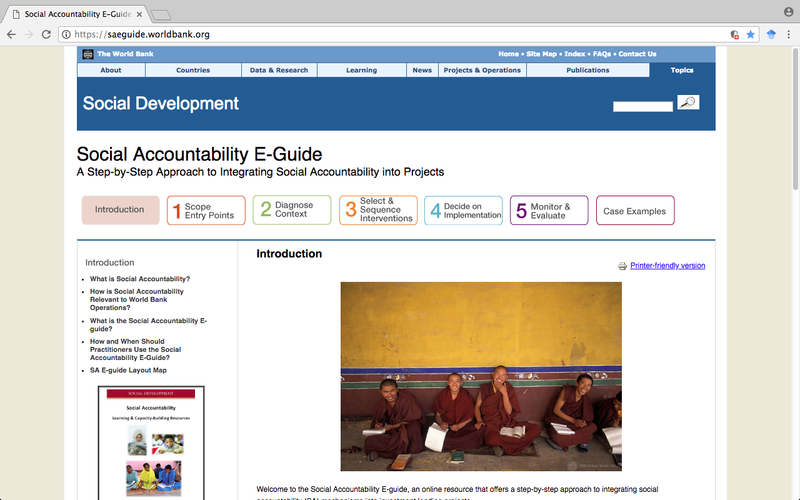 The Social Accountabiliy E-Guide is an online database on social accountability tools, methods and approaches. 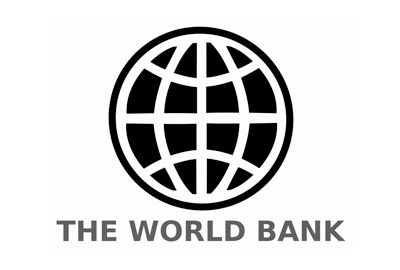 Provided by the World Bank, the website includes guidelines on how to diagnose current conditions and issues, identify the appropriate methodologies, and monitor and assess implementation. It includes a repository of case studies, and methods and cases according to their contribution to transparency, accountability, and participation. The Social Accountability E-Guide can be used to source potential tools and approaches according to contextual factors and desired outcomes. It is useful for understanding the benefits and limitations of specific tools, and finding further information and case study material on each tool. 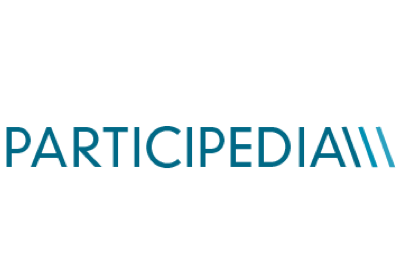 Participedia is an online platform open to researchers and practitioners globally to share experiences with specific participation methods, tools and initiatives, with a key emphasis on strengthening democracy. The catalogue can be searched by cases, methods or organisations. It can be used by practitioners and government officials, or researchers, activists or educators. 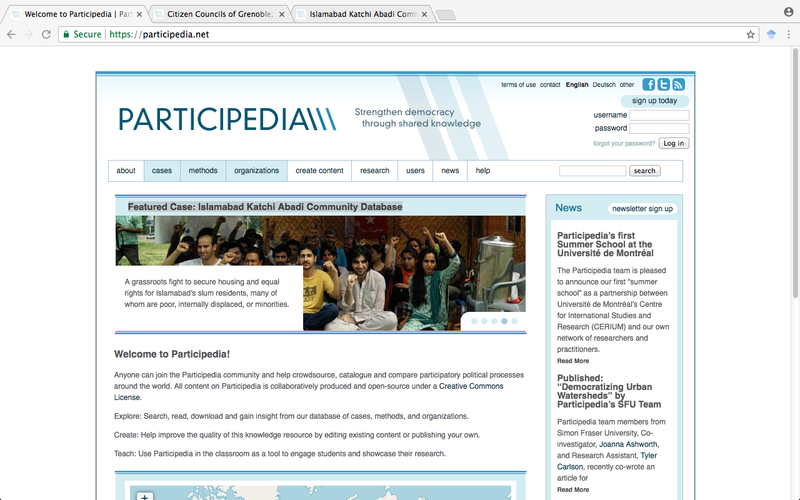 The Participedia platform can be used to learn about specific methods, to see in which countries/cities they may have been implemented, for what purposes, and to compare across cases. It can also be used to share local lessons and experiences. 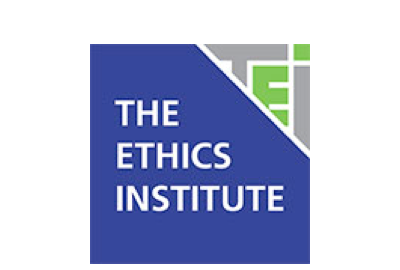 The Ethics Institute is a South African Based independant institute producing original thought leadership and offering a range of services and products related to organisational ethics both in the public and private sector. The TEI website provides useful resources such as articles, reports, press releases and hand books related to issues around ethics and integrity. 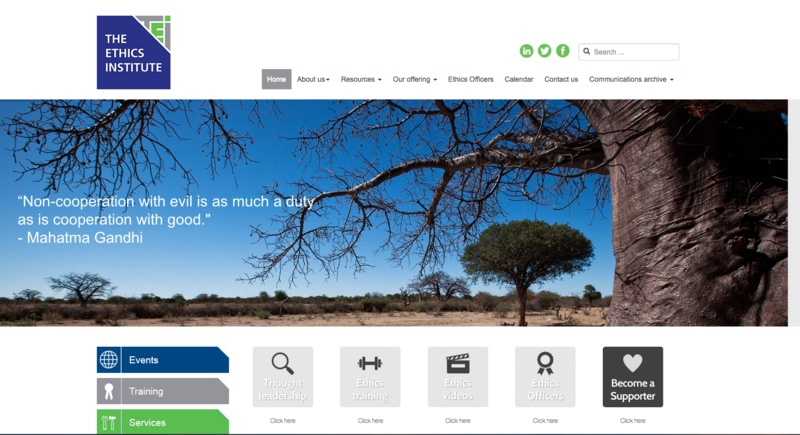 The website also includes a directory of contacts for ethics related issues. The Municipal Integrity Management Framework indicates what municipalities should do to institutionalise integrity management initiatives. 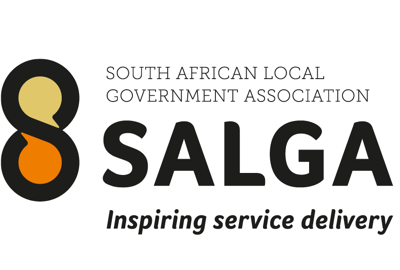 It summarises all the relevant local government legislation related to ethics and integrity management in local government and also provide guidance to municipalities around ethics management. 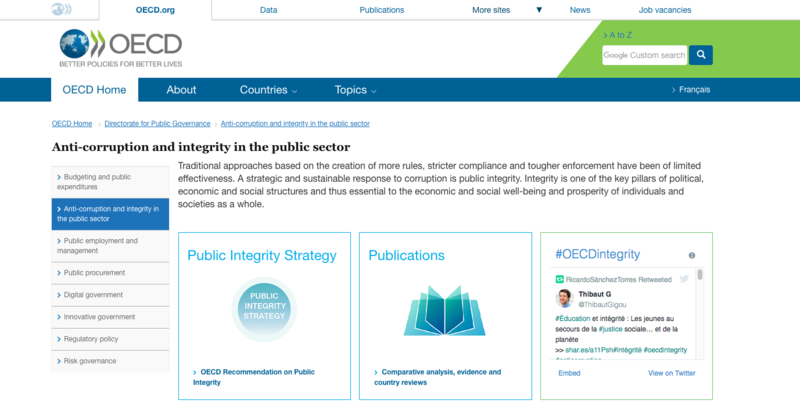 The OECD's website on integrity can be used to access the OECD's recommendations on public integrity based on country case studies. In addition, the website can also be used to access a range of publication on integrity including country case reviews and comparative analysis.